Even if you have a low credit score, it doesn’t mean you can’t buy a home. Many lenders will approve mortgages for qualified borrowers with bad credit. A few lenders even specialize in mortgages for home buyers or refinancers with less-than-perfect or limited credit. You don’t have to feel like you’re being judged for having flawed credit. Here are four tips that will give you the knowledge to talk to mortgage lenders with confidence and choose one that’s best for you, even if your credit score isn’t sky-high. You can get your credit score free by creating your NerdWallet account. 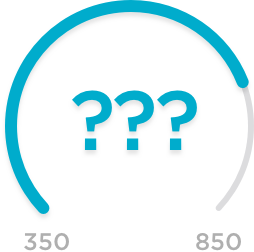 Your credit score dashboard not only tells you your score, but also describes how you fare in six factors that affect it, including how much of your available credit you’re using, payment history and average age of accounts. 740 and higher: You are eligible for the lowest interest rates and fees. 700-739: You are eligible for most mortgage programs, with relatively low rates and fees. 620-699: You might be eligible for some conventional loan programs as well as Federal Housing Administration or U.S. Department of Veterans Affairs loans. 580-619: Your best bet might be the FHA in this slice of credit scores. With a credit score of 580 and higher, you can qualify for an FHA loan with a 3.5% down payment. You might qualify for a VA loan, too, with the right mix of income and expenses. Find the best VA lenders. 500-579: You might qualify for an FHA loan if you have a down payment of 10%. Not all FHA lenders will approve mortgages with credit scores in this range, so you might have to shop around. Try the guide to best FHA lenders or a local mortgage broker. When talking to a loan officer in person or on the phone, bring up your credit score at the beginning. That way, you’ll find out immediately if the lender can help you or if continuing the conversation would be a waste of time. If your credit score could use a lift, you can start by checking your credit report to find out if it contains inaccurate information. Mistakes are not uncommon. There are three main credit bureaus, and you are entitled to request a free credit report from each of them annually or when you are denied credit, insurance or a job because of poor or limited credit. If you have not-so-good credit and you’re looking to buy a home, use a home affordability calculator to establish a baseline budget to understand how a home loan will affect your monthly finances. As you shop for lenders, one of the first steps they’ll take is to assess how much you’re eligible to borrow, based on your income and expenses. This amount may be more than you feel you can afford, so understanding what you can afford is really important before shopping for loans and getting preapproved. From lender to lender, the estimates of what you can borrow shouldn’t vary much. If one estimate is significantly lower or higher than others, ask why. The answer could help you narrow down your search for the right lender. The FHA is well-known for allowing down payments as low as 3.5% for most qualified borrowers. But it’s friendly to home buyers for another reason: being more forgiving of low credit scores. Many conventional mortgage programs won’t approve home loans for applicants with credit scores lower than 620. But FHA loans can be an option with credit scores below 620 and into the 500s. Lenders have varying credit score requirements on mortgages, including on FHA loans, so it’s a good idea to shop around. The VA doesn’t have a minimum credit score requirement, but most lenders do. If your credit score is less than 620, you might have to search for a lender that will offer a VA loan with a score that low. With a low credit score, you’ll want to look for what some lenders call “compensating factors” that partially offset the dings to your credit. One of the most effective compensating factors is a hefty down payment. Lenders know you’ll work hard to avoid foreclosure if you’ve made more than the minimum down payment. That means you’re less risky to lend to. Conventional lenders tend to charge less for credit-challenged borrowers who make down payments greater than 10%. Another compensating factor is a low debt-to-income ratio. If your house payment will take up 28% or less of your before-tax income, that’s a mark in your favor when you apply for a mortgage. Bring up your compensating factors early in the conversation with a loan officer — preferably, immediately after you discuss your credit score. When you have a low credit score, finding the right lender entails bringing up your strengths as well as your weaknesses, and understanding which lenders are willing to work with you. Here are prominent mortgage lenders that work with borrowers who have weak credit, in three important categories. And see our complete list of best mortgage lenders for borrowers with low credit scores. Lends down to a 500 credit score. Participates in down payment assistance programs in some states. These lenders offer a mortgage experience for borrowers with low credit scores who want to apply online. These lenders offer refinance (as well as purchase) mortgages to borrowers with low credit scores.